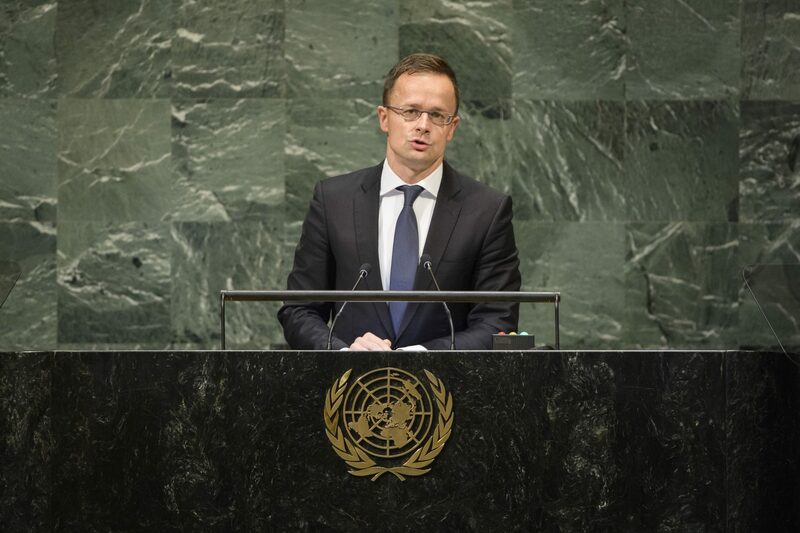 Adopting the current comprehensive migration pact currently under discussion in the United Nations would be the worst possible step when it comes to tackling the challenge of migration, Péter Szijjártó, the foreign minister, said at a session of the UN General Assembly in New York. Adopting the current package would trigger dangerous processes and lead to further waves of migration, he said in a speech given on Friday. The minister said the way in which managing migration was handled would “shape our future for a long time ahead” in a globalised world. It would encourage all countries to turn into the source of migration, transit countries or final destinations, he added. 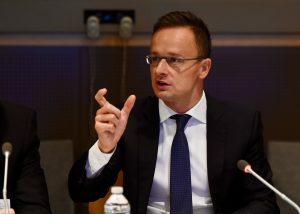 Szijjártó said Hungary rejected this solution and insisted that the international community respect the sovereignty of individual states as well as their right to prioritise the security of their own peoples. The international community should support each country in preserving their historical, religious, cultural and social heritage, he added. He said the UN pact exclusively supported the interests and prosperity of migrants. Instead, it should address the fundamental rights of those who want to live their lives in safety and peace, he added. Szijjártó insisted the end result of mass migration around the world was the heightened threat of terrorism. He said emigration benefited no one either: people embarking on journeys to find a new home risk their lives. Recipient countries, for their part, must absorb masses of migrants who are from an entirely different culture, he said. So migration leads to the emergence of parallel societies, with concomitant security implications, he added. Szijjártó noted an event in 2015 when 400,000 illegal migrants traversed Hungary. “They breached local laws, attacked the police, had shown no regard for local culture and lifestyles,” he said. He said the European Union’s response had been a policy failure. Instead of stopping the migration wave, it was tantamount to an invitation. The EU had intended to redistribute migrants and punish member states that rejected this forced policy. This, he added, had proved to be an “unsuccessful and damaging” approach. The minister said that over the past four years, more than 30 terrorist attacks had been carried out in Europe, all of them related to migration. More than 300 people were killed and more than a thousand injured, he added. “Whereas Brussels insists it is impossible to stop migration, Hungary has shown it is indeed possible,” he said. 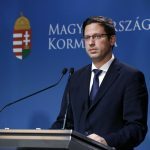 Together with the other member states of the Visegrad Group, Hungary has sealed the border and obstructed illegal immigration, he said. Szijjártó also welcomed Italy’s recent endeavour to shut down maritime migration, notwithstanding the criticism it has received for doing so. The minister insisted that international efforts should focus on stopping new waves of migration. International organisations must make it clear that immigration is not a fundamental human right. UN representatives and others see migration as sources of global prosperity “as if it were the best thing that could happen to humanity”. Hungary firmly rejects the approach that immigration is the best solution to demographic and labour market challenges, he added. He also dismissed the idea that human rights should be the lodestar for judging border protection measures, saying this was “a very dangerous approach”. Border protection is a matter of national security and only legal crossings are acceptable. Breaches of the law should be severely punished, he said. Szijjártó said Hungary also dismisses the idea that a multicultural societies were preferable to monocultures. 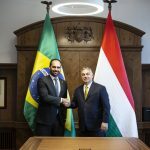 The minister said the security and wellbeing of Hungarians was the government’s top priority. While strictly protecting the borders, the government has pledged to develop the education system and to help families bring children into the world. This, he said, was the right answer to demographic and labour market challenges. Hungary, he added, is also helping the Christian communities in the Middle East in this spirit.